Adelaide Casino is a mega Australian casino as well as a recreational center in the north of the Adelaide CBD. 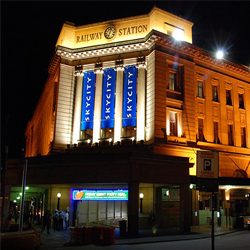 The casino is housed in the iconic Adelaide railway station house on North Terrace. The casino features 90 betting tables, 950 betting machines and several bars, restaurants and function areas. 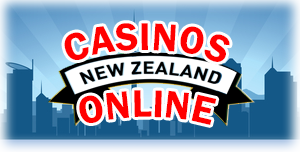 The casino is run by the Skycity Entertainment Group. It is the only licensed land-based casino in South Australia. It is controlled by the Independent Gambling Authority of Australia and the Liquor and Gambling Commission. The mega-casino is among the top 10 largest employers in South Australia that currently employs more than 1100 workers. In 2008, Adelaide Casino paid more than $41 million in charges and taxes to the Federal Government and State governments. The casino opened its doors in December 1985, and its casino licence is held by the Lotteries Commission, which contracted Aitco Pty Ltd to start and operate the casino on its behalf. Initially, the casino had 89 gaming tables but in 1991 it was authorized to install video gaming machines and poker machines in 1993. By the year 1997 it had a total of 674 machines. In June 2000, the Adelaide Casino was acquired by the SKYCITY Entertainment Group. The sale was sealed under a new licensing system that scrapped the division of licensee and the operator roles and offered for the grant of one casino permit. Skycity Adelaide Pty Ltd therefore became the licensee, and the licensing agreement featured 15 years of control over the table games in the casino. It also incorporated fixed duty rates of for the lease period. The asset was officially rebranded to SKYCITY Adelaide in 2001. A three-year interior reorganization project began in 2003. In the year 2009 the brand name reverted to Adelaide Casino, although the asset is still managed and owned by the Skycity. In the year 2007, after North Terrace was expanded to see that two more tramlines were accommodated, Balfours Pie Cart, a retailer of pie floaters, was axed from its site. The license variations were formalized in October 2013. Thus the casino’s license offers it a monopoly on automated table games and traditional table games in South Australia up to June 2035 together with new duty plans. The Casino competes in the pokies business with other South Australia’s restaurants and clubs. Only close to 480 clubs and restaurants are licensed to run just 12,400 pokies. The new licence plans increased the casino’s capacity from 90 to around 200 tables and from 995 to almost 1500 pokies. The casino is located on North Terrace, Adelaide. Its website is http://www.adelaidecasino.com.au/. You can also call their support on +61 8 8212 2811 or fax them on +61 8 8218 4150.